Dwell In Possibilities, or DIP, offers you the space to discover more about who you are, without the mask, the noise, or the critical voices. You are so much more than you can possibly imagine! This retreat is for you if you prefer an intimate, deep group experience where you will have the opportunity to explore more about yourself. Join the ever-growing circle of women who have experienced DIP weekends throughout the years. If you would like to have a conversation to hear more, contact teresa@live-love-move.com. 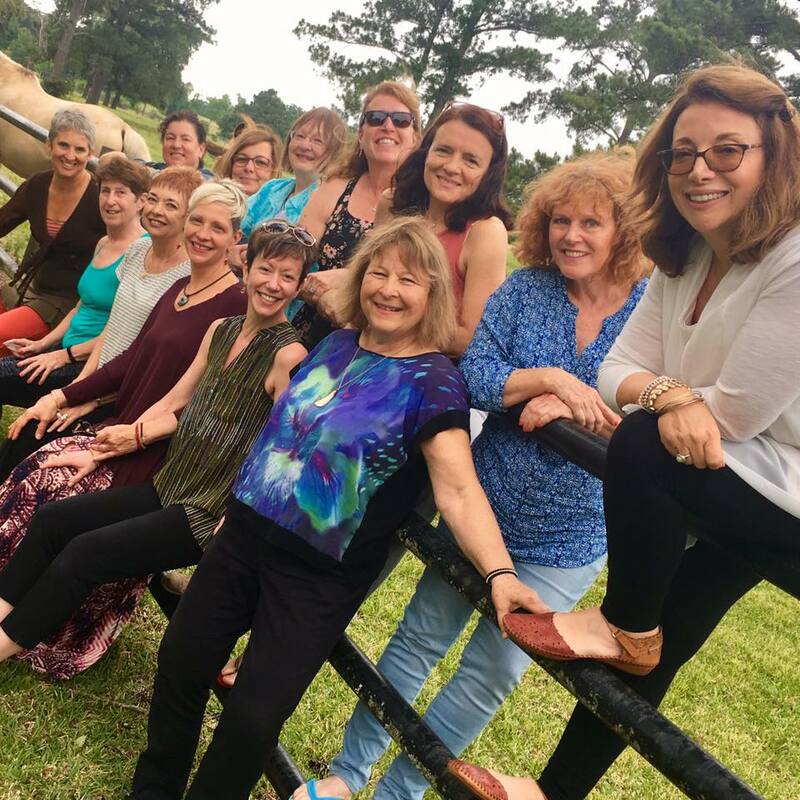 Meet Lori Lynn Meader and Teresa D’Angelo, two expert facilitators who are passionate about creating a memorable and meaningful retreat experience. This unique combination offers complementary talents and skills while providing an environment of safety and support, warmth and humor. What seduced me to sign up for ‘Dwell In Possibilities?’ Two things – Teresa and Lori Lynn! I would recommend ‘DIP’ for anyone who hasn’t taken time for herself lately. It was a time to breathe, recharge, take stock of where I was . . . WHO I was . . . and we had such a great time celebrating, crying, being goofy, enjoying a glass of wine – all good things! I am feeling SO grateful for the time we spent together. I am not the same woman who walked into Lifebridge a few months back. D-I-P started me on a path of self-acceptance, self-understanding, and self-love that has been blossoming ever since. Things about myself that I always viewed as defective or broken I now see as some of my greatest strengths. I have been art journaling every day (thank you Kim Lane for awakening the artist in me) and some very powerful and life-changing messages have come through for me. I still feel our circle of love and strength. Big group hug! *Deposit and payments are non-refundable. Credit card processing fees are included in your cart selections below. Your total cost for the weekend includes Retreat fee PLUS shared room and lodging for 2 nights and all freshly prepared meals. Lodging and Meal rate is based on Triple or Quad Room Share in spacious quarters (some rooms have bunk beds). Please contact teresa@live-love-move.com for double and single room rates for an additional cost (based on availability) . Payment in full due by October 15. Dwell In Possibilities 8th Annual Women's Retreat!